Ozil’s current contract at the Emirates is set to terminate in the summer, although it’s thought that the former Real Madrid ace is on the cusp of penning a new deal at the club, despite negotiations stalling and stuttering in recent months. Playing a pivotal part in Arsenal’s 4-1 win against Crystal Palace in their last Premier League encounter, Henry labelled the German midfield metronome as an ‘unplayable’ member of the club’s engine room, a key component to Arsene Wenger’s silverware-chasing machine. 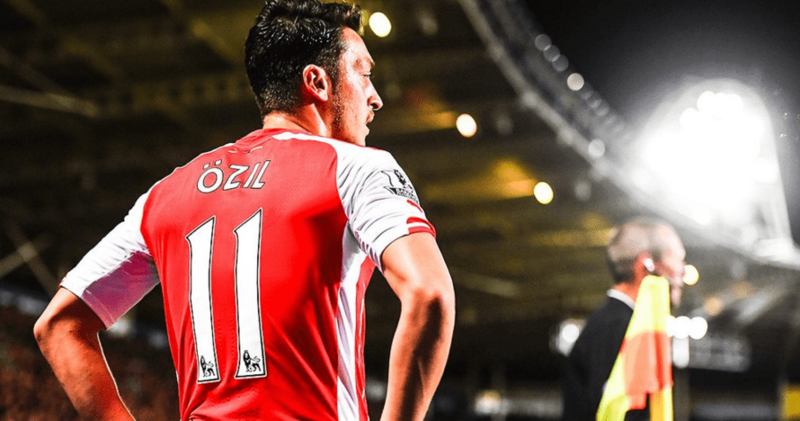 Speaking to Sky Sports – via a report provided by Daily Star – ‘Titi’ earnestly proclaimed: “He [Ozil] has to make it his team. Henry would have undoubtedly relished having a provider such as Ozil behind him during his playing days at Highbury, though now that Sanchez is indeed no more at the north-Londoners, the Gelsenkirchen-born maestro has an opportunity to become the squad’s undisputed focal point on the break, given his imperious vision and craftsmanship on the ball. It’s said that if Ozil is to commit himself to Arsenal for the foreseeable future he would demand a substantial rise in his weekly pay-packet, a requirement which many a manager would presumably grant without hesitation to ensure that he remained on the books. Wenger, however, is a man of principle, and if an agreement is to be met and finalised upon then it certainly has to suit both parties involved. Following Arsenal’s 2-1 Carabao Cup semi-final second-leg win over Chelsea on Wednesday night, ‘Le Prof’ admitted: “At the end of the day we are a serious football club with responsibilities. “We want to spend the money we can afford. The maximum we can afford we do, but as well you have some decisions to make. Share the post "Thierry Henry urges German ace to make Arsenal ‘his team’"